My Simple Little Pleasures: Sally Hansen I Heart Nail Art Water Marble Tutorial + Giveaway! 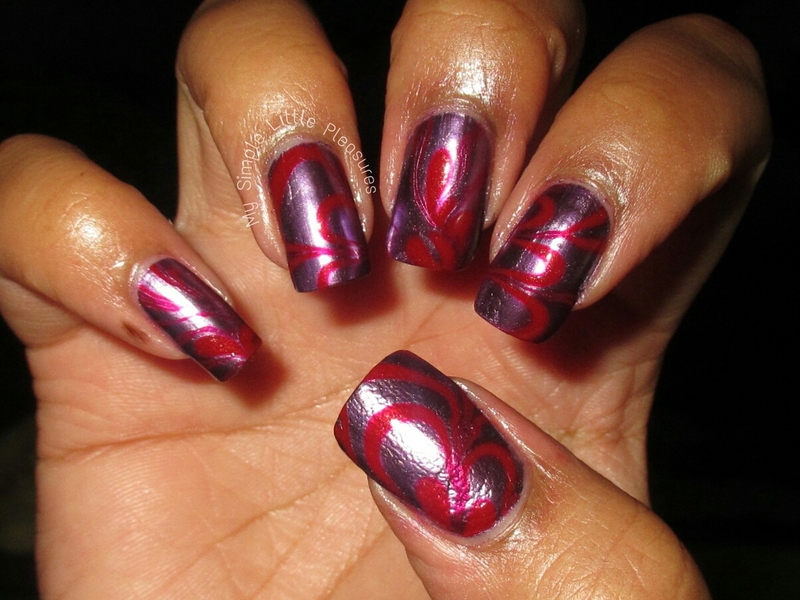 I think I like the color foil polish, the nail art pens or the studs. Thanks for tutorial! I hope to be as good at watermarble and you are! That color foil looks gorgeous! I could see it making an awesome pedicure! I like the glitter a lot too. I'm excited to try the color foils and the nail art pens! The color foil and pens! Thank you for having the giveaway! The color frenzy nail polish. it's beautiful! Do I really have to pick just one? LOL. I would love to try the pens....but I like everything in the box. Best of luck to all. Thanks for the opportunity. I would love to try the nail art pens. The nail art pens, as one cannot have enough of those. This is so pretty! Love the color combos and the design. Thanks for sharing the tutorial. I am going to try this out. the color foil and nail art pens!!! I am excited for the insta dri! I'm most interested in trying that foil polish! Shiny! The Color Foil!! Thanks for the giveaway!! All ! 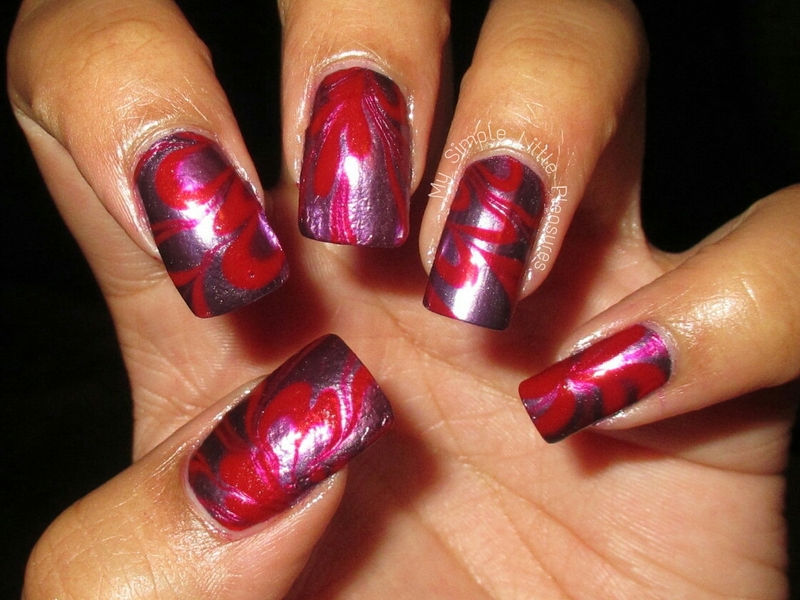 But I would really love to try the new foil polish ! I want to try the nail art pens! 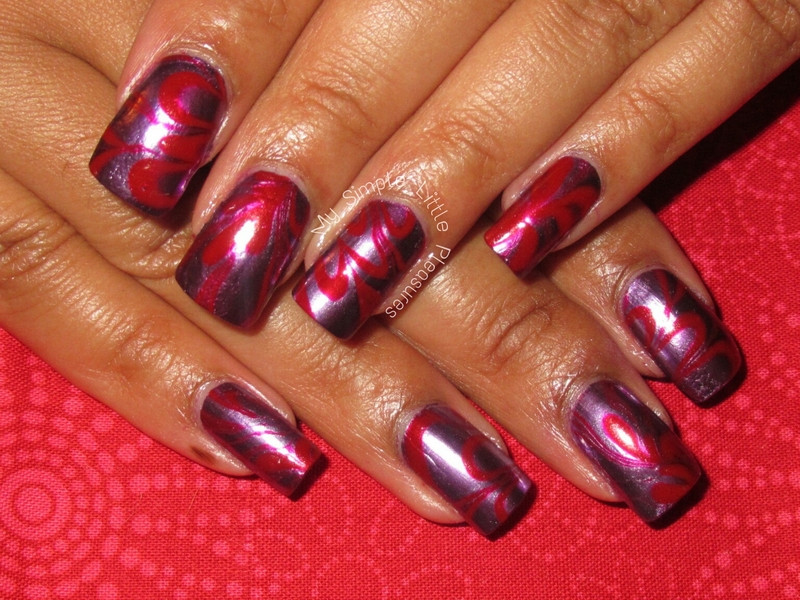 I really want to try the color foil polish! foil polish! thanks for the opportunity! I would love to try the color foil! Thank you for the opportunity! I would really like to try their nail art pens! Hey thanks for amazing videos, there is a question , my colours does not spread after 1 or max 2 drops , I tried with normal , hot, cold , filtered water , please suggest something , i really like this art . I may post those later, but I wanted to post right away so that you guys can enter the giveaway or contest if you want! Awesome manicure! Looks just like machine nail art! Love the color combination!